The scholar badge ceremony was held at K.R. Mangalam World School, Vikas Puri on 28 July, 2018 in the school’s amphitheatre. Students of classes IX and X were honoured for their achievements in academics in their previous academic year. The ceremony began at 8.30 am and lasted till 10.30 am. Parents of the proud achievers were also invited to attend this moment of pride and honour for their child. The event began with the lamp lighting by our honourable Principal Ma’am, who welcomed our guest of honour with a souvenir. 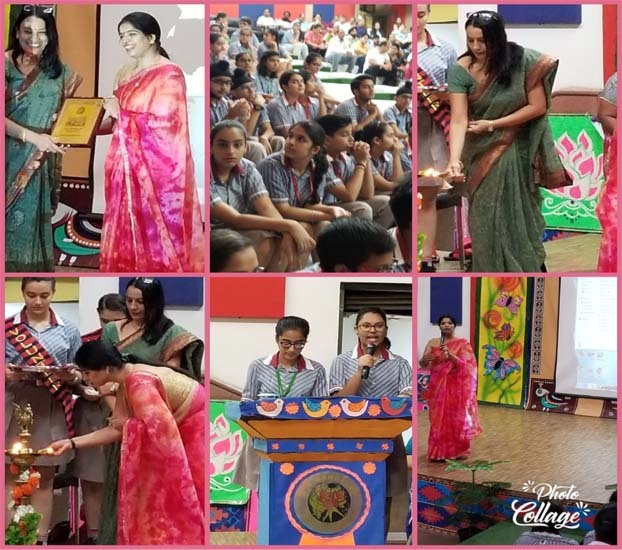 Our guest for the day from the K.R.Mangalam Group of World Schools, Dr.Adhikari, the Controller of Examination and Mr.V.C.Pachauri the Academic Counsellor along with Ms.Meenu Kanwar the Principal honoured the scholar badge holders for the session 2017-18. Overall it was an enriching experience for both the parents as well as children.